At the time of this writing, we don't know if Marc Jacobs' show today for Louis Vuitton will be the last in his 16-year tenure as the creative leader of the incredibly powerful French brand. 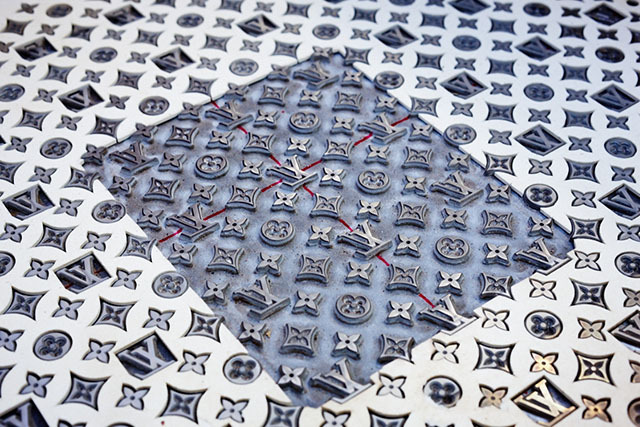 What we do know, however, is what Jacobs has done for Vuitton so far, which is nothing short of turning the brand into a household name with one of the most iconic logos in fashion history. 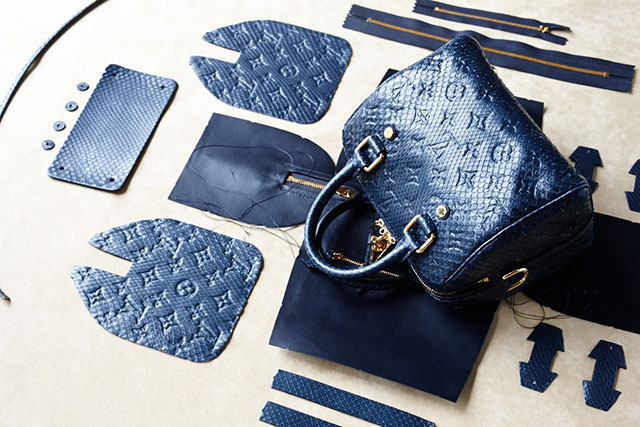 He's interpreted and re-interpreted Vuitton's signature details and bags time and again for a modern audience, and recently, CR Fashion Book went behind the scenes to witness the making of the latest Louis Vuitton Speedy Bag. 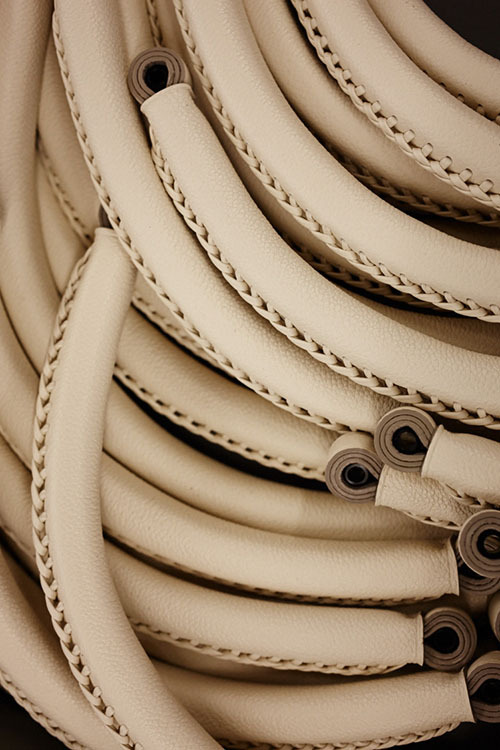 CR's "Anatomy of a Bag" series, which has featured the likes of Hermes and Dior in the past, and now it's on to another French fashion giant. The Speedy in question is a dazzling blue mini version in embossed python, which retails for $6,500 at Louis Vuitton stores. 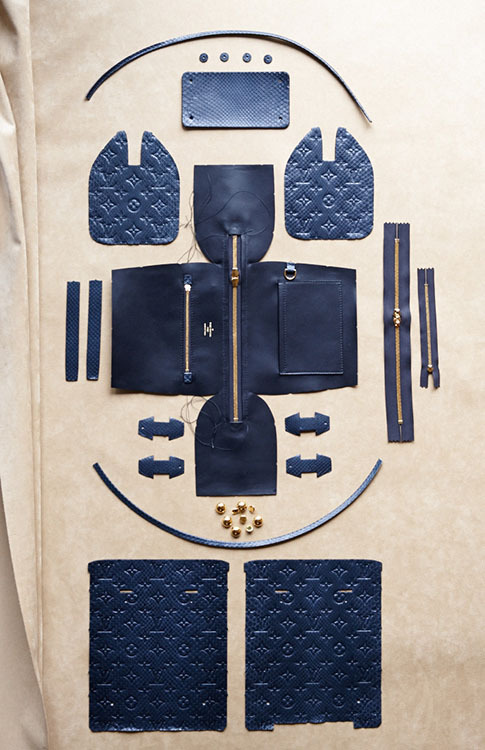 According to writer Christopher Bartley, this Speedy takes over 400 steps to manufacture and comprises 21 individual pieces of python, leather and hardware. Below, check out our favorite behind-the-scenes shots from the CR shoot, or head on over to the mag's website and read the full story. Also, you can shop Louis Vuitton via the brand's official site.